On view at Shop on afternoon and evening of sale, and at Shop during the one week prior to sale (see details later). If you are new to our auctions, please see our general auction information page. Malcolm Cant Library, 7 September 2015 Page 2 Estimate. Council by Patrick Abercrombie and Derek Plumstead, Oliver & Boyd, 1949. (1) 20.
including numerous plates. .. .. .. .. (2) 75.
ispiece, folding maps at p.232, p.570, and loose plate of Regalia. Partly rebound. (1) £100. Selway, Edinburgh 1890. Some splitting of binding. .. .. (1) 10.
burgh 1830. .. .. .. .. .. .. (1) 15. 6 A Reason for Inveresk by Jane E.M. Burnet, Inveresk 1999. .. .. (1) 10. Central and South-East Scotland Regional Planning Advisory Committee, 1948. (1) 15.
entary volume of maps, London, 1846. .. .. .. (3) £200. (250 copies) from original works of 1811 and 1792. Flimsy cover breaking. (1) 30. Hospital by George Forrest, Edinburgh 1865. Spine worn. .. .. (1) 15. Anderson, Hunter, Speare, Edinburgh 1826. Covers loose/detached. .. (1) 20. Scotland, HMSO 1951. .. .. .. .. .. (1) 10. 13 A similar volume. .. .. .. .. .. (1) 10. 14 Annals of Duddingston and Portobello by William Baird, Edinburgh 1898. (1) 20. 15 Ballads of the Bench and Bar, or Idle Lays of the Parliament House, privately printed 1882. No.209 of 305 copies. .. .. .. .. .. (1) 30. 16 Biographical Annals of The Parish of Colinton by Thomas Murray, Edinburgh 1893. (1) 20.
revised by Rev. Thomas Thomson, Blackie 1874-75. .. .. (6) 20. 1896. Original binding with some fading, some pages shaken. .. (1) 10. 1899. .. .. .. .. .. .. (1) 10.
only, but with five fold-out plans. Some loose pages. .. .. (1) 10. Craigmillar and its Environs by Tom Speedy, George Lews, Selkirk, 1894. (2) 15. London 1886. Binding split. .. .. .. .. (1) 20.
udes Contemporary Biographies ed. W.T. Pike). Some splitting. .. (1) 20. 24 Edinburgh Castle Visitor Reception Feasibility Study 1986. .. .. (1) 15.
gall, Edinburgh 1877. Original green cloth binding, some sections shaken. (1) 40. 26 Edinburgh 1329-1929 published for Town Council, Oliver & Boyd, Edinburgh 1929. (1) 30. Burial-Grounds at Edinburgh by Andrew Duncan, Edinburgh 1815. Binding partly split. (1) 15. Malcolm Cant Library, 7 September 2015 Page 3 Estimate. byWilliam Rhind, Edinburgh & London 1833. Small volume, partly shaken. (1) 10.
bition 1884 edited by John Rattray and Hugh R. Mill, Edinburgh 1885. .. (1) 20.
by Stevenson, Simpson, and Holmes, Scottish Burgh Survey 1981. .. (1) 10. 31 Historic Stones and Stories of Bygone Edinburgh by Mrs. J. Stewart Smith, 1924. (1) 15. Rev. Charles Rogers, Grampian Club, Edinburgh 1882. .. .. (1) 10. Edinburgh 1881. .. .. .. .. .. (1) 15. 34 A similar volume. .. .. .. .. .. (1) 15. 1808. .. .. .. .. .. .. (1) 10. Schulze, Edinburgh (undated). Ex-library. .. .. .. (1) 10.
laid paper and with tissue at plates). (1) 20.
paper. .. .. (1) 15.
edition 1907. .. (1) 10. Black, Edinburgh 1877. Quarter morocco. in places. .. .. (2) £300. Malcolm Cant Library, 7 September 2015 Page 4 Estimate. 41 Lauriston Castle, The Estate and its Owners by John Fairley, 1925. .. (1) 15.
and Gibb, Edinburgh 1897. Some general wear and faults, but nothing too bad. (2) 50. 43 Liberton in Ancient and Modern Times by George Good, Edinburgh 1893. (1) 10. 44 Life of Sir Walter Scott, Bart. vols. I-X by J.G. Lockhart, Cadell, Edinburgh 1848. (10) 15. 45 Lord Jeffrey and Craigcrook, A History of the Castle by James Taylor, Edinburgh 1892. Markes as No.6 of 150 copies printed. Various faults. .. .. (1) 30.
der), Blackwood, Edinburgh and London 1894. .. .. .. (1) 10. Edinburgh undated (1831 ?). .. .. .. .. (1) 30. Exhibition 1886, published by David Douglas, Edinburgh 1888. .. (1) 75. Adam & Charles Black 1891. Rebound. .. .. .. (2) 50. James Balfour Paul, Scottish Record Society, Edinburgh 1902. .. (1) 10. Harvey, Edinburgh 1873. .. .. .. .. .. (1) 15.
on bindings. .. .. .. .. .. .. (3) £100. rebound. Some toning in places throughout. .. .. .. (3) £100. Knox’s House, Edinburgh, c.1909. .. .. .. .. (1) 40.
published William Mackenzie, undated, based on 1891 census. .. (6) 40. 56 Papers Relative to The Regalia of Scotland by William Bell, Bannatyne Club, Edinburgh. 1829, includes four folding plates. .. .. .. .. (1) 40. 1907. .. .. .. .. .. .. (1) 15. Edinburgh 1884. No.6 of 100 folio copies. Spine damaged. .. .. (1) 50. Malcolm Cant Library, 7 September 2015 Page 5 Estimate. 1884, published Blackwood 1885. No.45 of 150 copies for public sale. Split spine. (1) 10. Scottish Record Society, Edinburgh 1902. .. .. .. (1) 20.
by John Rennie, 1797. Modern binding. .. .. .. (1) £100. includes three maps. Modern binding. .. .. .. .. (1) £100. 63 Royal Scottish Academy edited by Charles Holme, published by “The Studio” 1907. (1) 10. 64 Saint Cecilia’s Hall in the Niddry Wynd by David Fraser Harris, 1899. .. .. (1) 10. 65 Scottish Men of Letters in the Eighteenth Century by Henry Grey Graham, 1901... (1) 10.
burgh 1828. .. .. .. .. .. .. (1) 40.
printed for private circulation, 1865. Rebound. .. .. .. (1) 10.
by John Geddie. Also 1991 edition of the same (with new chapter). .. (2) 15. North Bridge Buildings, Edinburgh 1818. Modern binding. .. .. (1) 20. Malcolm Cant Library, 7 September 2015 Page 6 Estimate. Edinburgh 1910. Rebound. .. .. .. .. (1) 30. Edinburgh 1891. .. .. .. .. .. (1) 10. Writing in Scotland by James C. Dibdin, Edinburgh 1888. Rebound. .. (1) 20.
by R.W. Billings, published Saunders, Foulis, 1908-9. Various foxing. .. (2) 50.
reprint of 1852 edition (Towie Barclay Castle, Aberdeenshire). .. (4) 40. Modern by John Dickson, Edinburgh 1899. .. .. .. (2) 30. 76 The Book of the Trotters Club, 1901, and volume two of the same, 1909. .. (2) 20. Mercat Press 1977 reprint of 1887 edition. .. .. .. (5) 75.
fine within. .. .. .. .. .. .. (1) £100. lishing, Edinburgh 1989, with slipcase. .. .. .. (1) 20. May 1896, published by Town Council 1896, rebound. .. .. (1) 20. (printed for private circulation) 1871. .. .. .. .. (1) 10. Johnston, Edinburgh 1899. Some faults. .. .. .. (1) 30. 83 The Early Maps of Scotland, by a Committee of the RSGS, 2nd edn., Edinburgh 1936. (1) 10. (printed for private circulation) 1890. Rebound. .. .. .. (1) 20.
originally limp, in modern hard cover. .. .. .. (1) 10. 86 The Edinburgh Tales vols. I-III by Mrs Johnstone, Tait (Edinburgh) etc., 1845-46. (3) 20. Brown, Edinburgh 1867. Binding partly split, some toning etc. .. (1) 30.
official guests at the opening, 1964. .. .. .. .. (1) 10. Peter Lawson & Son, Edinburgh 1862. .. .. .. (1) 20.
burgh 1886 in connection with the Edinburgh International Exhibition. .. (1) 30. Family by Mrs. J. Stewart Smith, Edinburgh 1898. .. .. (1) 15. Drama of Life in three small volumes, London 1824. .. .. (3) 30. Kincaid, 1787. Includes both maps. Rebound. .. .. .. (1) 50. Malcolm Cant Library, 7 September 2015 Page 7 Estimate. plates. No serious faults but spine partly split. .. .. .. (1) £200. Leith 1827. .. .. .. .. .. .. (1) 40. 96 The History of the Abbey, Palace, and Chapel-Royal of Holyroodhouse, Edinburgh 1819. Rebound. .. .. .. .. .. .. (1) 20. 97 A similar volume, 2nd edition 1821, some faults. .. .. .. (1) 15. 98 The History of the Speculative Society 1764-1904, Constable, Edinburgh 1905. (1) 20. 99 The Holyrood Press 1686-1688 by William Cowan, privately printed, Edinburgh 1904. Noted as “No.9 of fifteen copies reprinted by permission….” .. .. (1) 15. Sea by John Geddie, illustrated by Joseph Brown, W.H. White 1898. .. (1) 10. Edinburgh 1932. .. .. .. .. .. (1) 15. 102 The Laws of the Astronomical Institution of Edinburgh 1829. Pamphlet style. (1) 10. 103 The McEwan Hall, The Students’ Representative Council, 1897. .. (1) 10.
etc. .. .. .. .. .. .. (1) 30. 1895. .. .. .. .. .. .. (1) 40.
and plans. Rebound (inc. woven silk Edinburgh Parthenon bookmark). .. (1) 20.
by William Hunter, Edinburgh (approx. 1830 ?) .. .. .. (1) 10.
by Alexander Heron, Edinburgh 1903. Some tone spots throughout. .. (1) 15. 109 The Royal Commission on Ancient and Historical Monuments & Constructions of Scotland. and West Lothian. Published by HMSO, Edinburgh, 1929 .. .. (1) 30.
and Scotsmen by James Mitchell. Anderson, Edinburgh etc., 1825. Rebound. (1) 30. MacGregor Polson, Glasgow 1844. Some faults. .. .. .. (1) 15. MacKenzie, not dated. Some faults. .. .. .. .. (1) 20.
published Reid, Leith 1851. Mixed toning. .. .. .. (1) 40. History of the People of Scotland volumes I-III by William Anderson, 1863. (3) 30.
the Society, Edinburgh 1936. .. .. .. .. (1) 20. 116 The Statistical Account of Edinburghshire, Blackwood, Edinburgh 1865. .. (1) 30. 117 The Story of Edinburgh Castle by Louis Weirter, Harrap, London 1913. .. (1) 15. Thistle 2009. .. .. .. .. .. .. (1) 10.
published Fullarton 1842. .. .. .. .. .. (2) 40. Malcolm Cant Library, 7 September 2015 Page 8 Estimate. ander Kincaid, Edinburgh 1794. Includes two fold-out maps and thirteen other plates (i.e. complete according to Contents). .. .. .. .. (1) 75.
eanors, before The House of Peers, 1806. Rebound, some rough page edges. (1) 20. Joe Rock, John Donald, 1992. .. .. .. .. (1) 20. 123 Trinity College and Trinity Hospital, A Historical Sketch by James Colston, in two volumes. Published by Town Council, 1896-7 (edition of 400 copies). .. .. (2) 40.
in Edinburgh by Margaret Warrender, David Douglas, Edinburgh 1895. .. (2) 15. 125 Yerbury A Photographic Collection 1850-1993 by Trevor Yerbury and Malcolm Cant. Mercat Press, Edinburgh 1993. .. .. .. .. (1) 20. 126 A similar volume. .. .. .. .. .. (1) 20. Waverley Novels (4 vols. ), Library of English Literature (5 vols. ), etc. .. (28) 40. The Standard, London 1899. Attractive leather bindings. .. .. (20) 20.
the English Language vols.I-II, by John Boag (undated). .. .. (5) 10. 130 Miscellaneous box of fact and fiction. .. .. .. .. (17) 10. Lord Denning, etc. .. .. .. .. .. (26) 40. 132 Proverbs; mostly Scottish inc. Hislop, Cheviot, etc. .. .. (5) 10. 133 Scottish; small box of older books of general Scottish interest. (14) 30. 134 Big box of varied books, many modern, mixed Scottish topics. .. (30) 40. Fullarton, Edinburgh & London 1860. Includes most but not all plates. .. (4) 40. 136 The Fortified House in Scotland vols.I-V by Nigel Tranter, Mercat Press 1986. (5) 15. 137 Borders and Lothians; box of mixed interest. .. .. .. (16) 20. 1869, and History of the Burgh of Dumfries 1906. .. .. (7) 50. 139 --; books/booklets on buildings of, industrial archaeology, etc. .. (14) 15. Scotland: Fife by John Gifford 1988, and two pictorial books. .. (4) 20.
books/booklets on the bridge inc. a duplicate. .. .. .. (5) 10. 142 Education; 14 books/booklets on aspects of Scottish education inc. EIS, teacher training. .. .. .. .. .. .. (14) 20. 143 Heraldry; five books and two maps on Scottish and other heraldry. .. (5) 10. Malcolm Cant Library, 7 September 2015 Page 9 Estimate. GENERAL BOOKS ABOUT SCOTLAND, continued. and four others. .. .. .. .. .. (9) 20. 145 --; Scott; various volumes inc. The Journal 1825-32 biography by Edgar Johnston, etc. (10) 15. Home, etc. by Watt (Foulis 1913). .. .. .. .. (10) 20. 147 Place Names; five mixed titles. .. .. .. .. (5) 5. 148 Politics; books and booklets, mostly on Scottish Parliament. .. .. (8) 10. Your Grandfather by Malcolm Cant. .. .. .. .. (14) 15. 150 Scottish Law; books on Judges, Lord Chancellors, etc. .. .. (8) 10. 151 Scottish Military; books on regiments etc. .. .. .. (10) 15. 152 Miscellaneous box of books and booklets about Edinburgh. .. .. (51) 40. 153 A similar lot. .. .. .. .. .. .. (27) 40. 154 A similar lot. .. .. .. .. .. .. (23) 30. 155 A similar lot. .. .. .. .. .. .. (22) 30. 156 A similar lot. .. .. .. .. .. .. (48) 20. 157 A similar lot. .. .. .. .. .. .. (39) 20. 158 Two box files of theatre programmes, booklets, magazines, etc. .. (Dozens) 20. 1898/9, 1900/1, 1901/2, 1902/3, 1908/9, and 1915/6. .. .. (14) 30. 160 --; 1916/17, 1917/18, 1926/27, 1931/32, 1933/34, then complete run 1935/36 to 1944/45. .. .. .. .. .. .. (15) 30. 161 --; complete run 1945/46 to 1959/60. .. .. .. .. (15) 30. 162 --; complete run 1960/61 to 1974/75. .. .. .. .. (15) 30.
inc. Colinton (Shankie, 1902). .. .. .. (14 + 1 dupl.) 20. 164 Corstorphine; mixed books on history and life of, inc. 2 dupl. .. (20) 24.
history and life of. .. .. .. .. .. (14) 20. 166 Leith; various on history and life of Leith, Newhaven, and Granton. .. (24) 40.
various authors. .. .. .. .. .. (9) 30. 168 New Town; books/booklets on history of the area inc. Stockbridge and Broughton. (40) 50. Leith/Newhaven/Granton. Inc. 4 dupl. .. .. .. .. (33) 45. 170 Old Town; books and booklets, many guidebooks, inc. two dupl. .. (60) 50. 171 South Edinburgh; box of books/booklets on history and life of. .. (45) 50. 172 --; a similar lot, many pictorial. .. .. .. .. (44) 50. 173 The Forth; books on various aspects of the estuary, inc. two duplicates. .. (8) 15. Malcolm Cant Library, 7 September 2015 Page 10 Estimate. Scottish perspective. .. .. .. .. .. (21) 30.
and photography. .. .. .. .. .. (17) 30.
next five lots), inc. some of wider Scottish interest. .. .. (48) 50. 177 --; Banking; box of books/booklets on history of Scottish banks. .. (19) 24.
interest. .. .. .. .. .. .. (11) 20. 179 --; Insurance; seln. of books/booklets on aspect inc. wider Scottish interest. (13) 20.
shing in Edinburgh. .. .. .. .. .. (30) 40. 181 --; Retail; books/booklets with an Edinburgh and wider interest. .. (16) 24.
church history. (3 boxes) .. .. .. .. .. (c.175) 75.
following nine lots. .. .. .. .. .. (30) 40. Memories of Old Academy Days by Alexr Fergusson 1887, and Register 1824-1914. (4) 20. Fettes 1870-1920. .. .. .. .. .. (4) 20. 1845 (repaired). .. .. .. .. .. (4) 15. 1920. .. .. .. .. .. .. (6) 20.
other. .. .. .. .. .. .. (3) 10. 189 --; Merchiston Castle School; Register 1833-1929 and two others. .. (3) 10. Trotter, 1911. .. .. .. .. .. .. (6) 20. Institution 1832-1932 by J.R.S. Young. One dupl. .. .. (7) 15. Heriot-Watt. .. .. .. .. .. .. (25) 50. 193 Entertainment; wide mix, much on Festival, and some of wider Scottish interest. (44) 30. 194 Golf; sixteen books on golf in Edinburgh, mostly on individual clubs inc. 1 dupl. (16) 30. RSE, etc. .. .. .. .. .. .. (52) 60. 196 Medicine; mix of various books/booklets about people and institutions. .. (40) 50. Relief of the Sufferers of the Fires in Edinburgh on 15th, 16th, & 17th November 1824. (4) 20.
areas of the city (53, inc. a few dupl.). Also two older glass slides. .. .. 30.
others modern views. .. .. .. .. .. (58) 60. Malcolm Cant Library, 7 September 2015 Page 11 Estimate. 200 Royalty; twelve various books/booklets and two maps. .. .. (14) 10.
wider interest than just Edinburgh. .. .. .. .. (14) 10. 202 --; Cricket; five books on cricket inc. some of wider interest. .. .. (5) 15. 203 --; Football; four books and one programme on Hearts FC. .. .. (5) 10. Tennis in Scotland 1995. .. .. .. .. .. (5) 10. 205 Tourist Souvenir View Books; by Nelson and others inc. one of Scotland. (17) 20. City of Edinburgh (1905), mixed others by local government and other organisations. (19) 40.
interest. .. .. .. .. .. (27) 40. 208 --; Canals; five books/booklets on Union Canal and Forth & Clyde Canal. (5) 10.
and Scotland. .. .. .. .. .. .. (18) 30. 210 Wartime; box of books on local and wider aspects of WW1 and WW2. .. (12) 15. Swanston (2). All as new. .. .. .. .. .. (32) 60. 212 Youth Organisations; six books on Scouts, Guides, BBs, etc. .. (6) 10. Malcolm Cant Library, 7 September 2015 . The Malcolm Cant Library of Edinburgh. Malcolm Cant published many books on Edinburgh in the 1980s to 2000s, popular and well-regarded by historians and locals. During the period he was actively writing and publishing, he amassed an extensive collection of material; some for reference, some for illustration, and others for use while giving illustrated talks. Having retired from publishing, he decided to dispose of his collection, and we sold his postcards, photographs, slides, maps, etc. in a very popular auction in December 2012. He has now moved on to disposing of his extensive reference library. It appears here suitably lotted by type and area. This library represents some decades of book acquisition and therefore includes many titles which are seldom seen. Some of these are not expensive, but useful all the same. Prices of many of these lots are unpredictable. It is quite possible that some lots here and there will sell well above their estimates; some might also be picked up below estimate (note that we do not normally entertain bids at less than two-thirds of the estimate). Viewing will be at our shop during normal hours in the week preceding the auction (i.e. Tue 1st 12-4pm, Wed 2nd 2-8pm, Thu 3rd 10am-6pm, and Sat 5th 12-6pm). There will also be viewing on auction day, from 2pm to 6.30pm. Viewing will be at 1A Inverleith Gardens, but please call in at number 5 if that door is locked. While viewing for our stamp auctions we request that people should not hold pens while viewing lots. This holds every bit as true for a book auction. Remember your pencil ! The Auction will be held at our shop at 1A Inverleith Gardens, but please first register at No.5. Accounts will be dealt with at our main shop at 5 Inverleith Gardens. Delivery of lots will be available on the evening of the auction, but only once the auction has finished. Purchases can then be collected any time that week during normal shop opening hours. Please notify us if you will be collecting lots any later than Saturday 11 September. Please bring boxes or bags with you when collecting your purchases. We will only have very limited supplies. Written Bids are welcome in advance of the auction, by post, phone, email, or handed in. Email bids are normally acknowledged within 24 hours (1 hour on auction day). You should note that we have a very good reputation for not abusing written bids ! Postal Buyers will have their purchases sent out in the few days following the sale. We would normally use the most appropriate Royal Mail service, the cost of which will be added to your invoice. If purchases are to be sent by carrier please arrange for the pick-up to be in our normal hours, give us two days warning, and note that we charge a packing fee of £5 for the first box plus £1 per subsequent box. Detailed descriptions, quality assessments, etc. This catalogue should be taken as a guide for potential buyers in advance of their being able to view the lots. 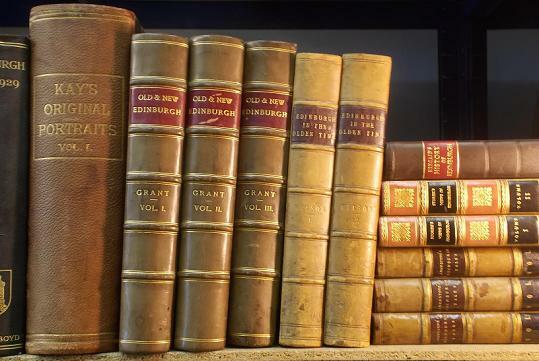 In general terms, it should be taken that books are in fine condition, and that we will mention any faults which bring an item well below its normal quality. If any customers would like more detailed descriptions (e.g. also page sizes, binding types, etc.) and are unable to view, please just get in touch and we’ll do what we can to help. Tea or Coffee ? We have made arrangements that Muffins, our local coffee shop, will be open through into the evening, and will be happy to serve any of our customers who would rather wait there. Rejects/leftovers; If you buy any of the mixed lots of books, and there are any items in the mix that you do not want, we are happy for these to be left with us. If we can make up a box of people’s rejects, it will appear in our next auction with proceeds to charity. We have two auction catalogues going out at the same time – make sure you use the right bid form ! Note also the book in our Stamps & Collectables Auction on 24 August. NB; credit card payments after posting of lots incur a 1.9% surcharge (higher for foreign). Our Website will still be the first port-of-call for most information, but the Facebook and Google+ pages will be useful places for news, updates, snippets, and comments. Telephone bids will be accepted at any time before the sale (but the earlier the better). These bids should be confirmed in writing, even if the written confirmation will not reach us until after the auction. Numbers are 0131 552 1220, or 0131 478 7021.
CREDIT CARDS; We are happy to accept MasterCard and Visa credit card payments, as well as payments by Maestro and Delta. This facility can be used by room purchasers (who pay their accounts at the auction), by other local customers (who pay their bill in our shop), and by postal buyers. In order to deal with postal clients, our bid forms have been designed to make space for credit or debit card instructions. Do not complete these details unless you want to pay by card, and to have the lots posted. We have negotiated good rates with our bank, and are able to absorb the bank charges for this service ourselves, and therefore there is no additional charge for the use of this facility, as long as postal bidders give us their details in advance of posting. Only for postal buyers where credit card details are given after posting, we will charge 1.9% extra (Visa/MasterCard), plus cost of posting receipt slip. Please bid on my behalf for the undermentioned lots, up to the limits stated. I understand that lots will be purchased as cheaply as other bids, or reserves, if any, permit. I accept the rules printed on the reverse of this bid form. NB; a buyer’s premium of 10% will be added to the hammer price of any purchases. FORTHCOMING AUCTIONS; Our next stamp auction is planned for 12 October 2015. This auction is conducted according to the “Philatelic Auctioneers Standard Terms and Conditions of Sale” (available if requested), with the exception of Clause 6, where “Scottish” should be substituted for “English”. Telephone bids are accepted, but must later be confirmed in writing. Alternatives and limits are accepted. available, at a charge of 15p per copy (colour copies A4 pages; 1st copy £1, 50p per page thereafter), plus postage. The annual subscription for our auction catalogues is currently £7 for inland addresses. If you are not already on our mailing list, please send us £9 with a note of your name and address. Regular bidders and buyers may qualify for free renewal. Rates abroad are European countries £12, Overseas £15. Open Bids (“Buy Bids”) are not normally accepted. If such bids are made, they will be taken to mean a bid of ten times the printed estimate.